Machine vision systems are high speed industrial grade cameras that capture and analyze visual information and pre-set specification of a product or an item, and are used to automate tasks that require “seeing” in the production floor environment. A camera lens and image sensor are used to capture images, Vision software analyzes what is being seen and communicates information to other equipment, usually PLC that can automate the line to reject the specific fault item from the line. Vision systems also require lighting and mechanical installation as well as software configuration in order to make them operational on the line. At Contel, we offer all of these services as a bundled solution, for any type of industry. 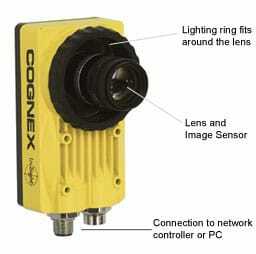 Contel is providing the world class state of the art Cognex vision as a prime distributor in the region of Israel. We have performed dozens of installation nation-wide and we invite you to fill out our contact form and see up close our sophisticated vision installations and how they save the plant time, resources, waste, and money.